Trailer for Love the Coopers. Director, Jessie Nelson, wrote the screenplay for Because I said So, which also starred Diane Keaton. In the film, Diane Keaton plays the nosy mother to Mandy Moore, Lauren Graham and Piper Perabo. The film was a critical failure but managed modest box office numbers. The film and trailer for Love the Coopers is narrated by Steve Martin. Steve Martin seems to like the gig, as he also narrated his own film Shopgirl based on his novella of the same name. Diane Keaton and Marisa Tomei play sisters in the film. In real life, Diane Keaton is 19-years older than Tomei. Stars Ed Helms and Jake Lacey were both on the television show, The Office, where they competed for the affection of Erin (Ellie Kemper). Ah, the holiday season. It’s that time of year when movie studios prey on audience’s sentimentality and provide a schlocky Christmas movie filled with an all-star cast but an incoherent plot line about the importance of family. Diane Keaton returns to the screen as the same neurotic mother she has played more times than necessary (Something’s Gotta Give, Because I Said So) to gather her family for the perfect Christmas. Did Diane Keaton forget she played almost an identical character in an eerily similar Christmas movie, The Family Stone? Olivia Wilde is playing the super cool girl with commitment issues, and Marisa Tomei once again plays a too-adorable nutty single woman. Ladies, you are so much more than these characters you continue to play. The Love the Coopers trailer is complete with an overqualified cast (John Goodman, Ed Helms, Amanda Seyfried, Alan Arkin) a bratty child with a potty mouth and Steve Martin narrating the whole calamity. Typically a movie trailer is created to make audiences excited to see a film, so it behooves the editor to include the best scenes, so when you end up with a trailer like the one for Love the Coopers, one could gather the film is going to be a bit of a disaster. There is a strange recurring phenomenon when it comes to bad movies with spectacular casts; films like 2008’s The Women, and 2011’s New Year’s Eve are just two examples of poor films gussied up with big stars. Are these actors paying back industry friends? Are the scripts completely different when they first agree to commit to the project? I suppose we can never be sure. 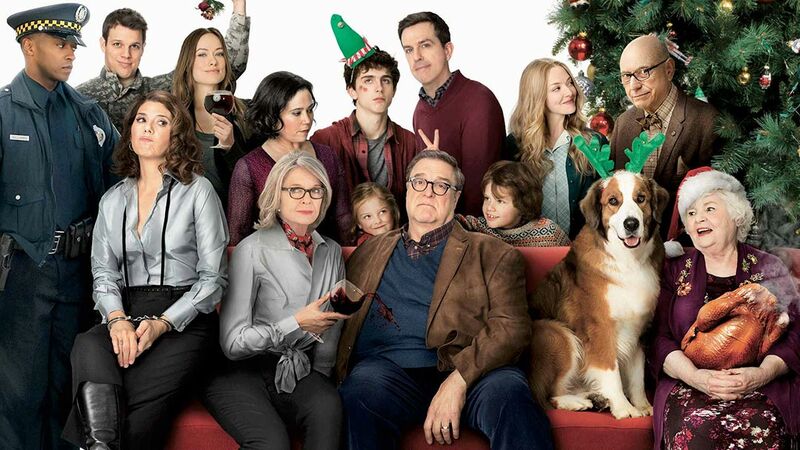 One thing is clear, Love the Coopers' trailer is a tired train-wreck with exhausted gimmicks, dressed with tinsel and lights and a more deserving cast.